I enjoyed making the Button Heart so much that I started looking around to see what other shapes would lend themselves to this craft. Easter is coming soon, so I decided to do aButton Bunny. After I started the Bunny I didn't like the way it was shaping up so I stopped the Bunny and started an Egg shape instead. One 8" x 10" (20.5cm x 25cm) wrapped artist's canvas. Acrylic paints in the following colours: Turquoise, Titanium White, Peacock Blue, Butter Cream (Yellow), Apple Tart (Bright Green) or any colours of your choice. A lot of buttons - they can be purchased at a dollar store if you don't have enough. I used white buttons. 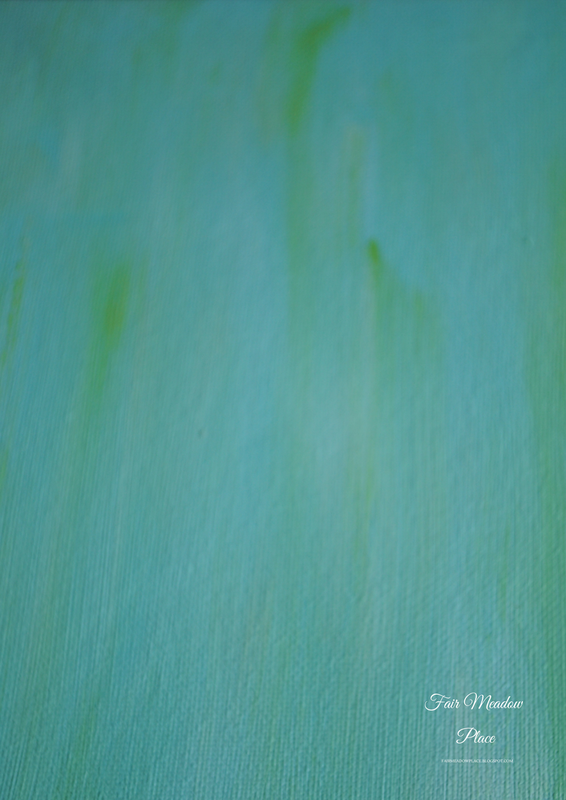 On a paper plate or palette pour out a 50 cent sized dollop of Turquoise paint. To that amount add a 25 cent sized dollop of White Titanium paint. Add two to three drops each of Peacock Blue and Butter Cream. Mix the paints together. Paint the canvas and sides of the canvas. While the paint is still wet squeeze a few drops of Titanium White onto the palette and using the same brush lightly and sporadically paint over top of the wet paint with the white paint. Use long strokes so that the paint looks a bit streaky and paint in one direction. Work it a bit so that it blends in some places and does not blend in other places. If you feel the turquoise paint is too dark work more of the white paint into it. Squeeze out a few drops of the Apple Tart and again while the paint is still wet streak the green over top. It can also blend in spots and not in others. When the paint has dried draw or trace an Egg shape in the centre of the canvas. Use the ruler to find the centre. 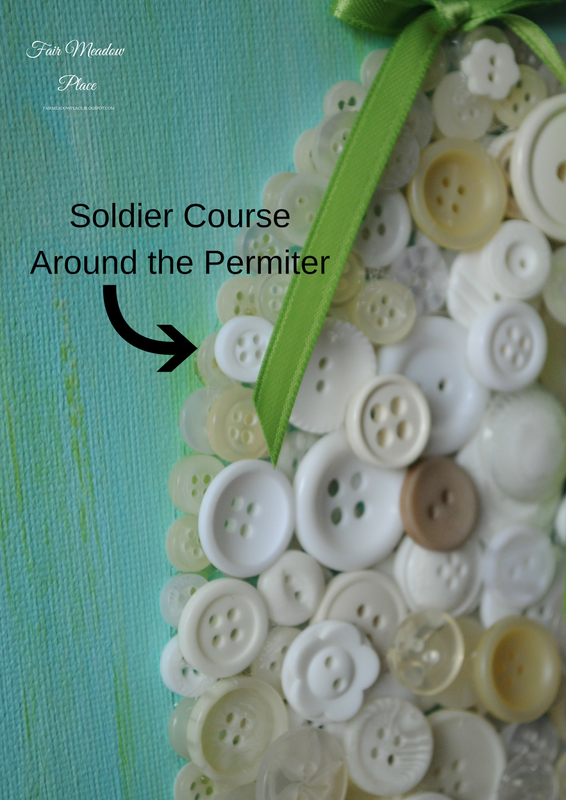 Start by glueing a Soldier Course of buttons around the perimeter of the Egg and then add more buttons to fill in the centre. 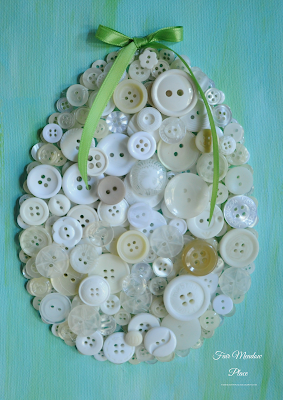 Once the Egg is filled in with buttons it is okay to glue more buttons on top. By adding more buttons, the background doesn't peek through as much. Save your nicest buttons for the top. I wrapped the outer edge of the canvas with ribbon and made a small bow and glued it on the top of the egg. Use any paint colour combination you like. I used turquoise because I had some already. I thought it was too dark so I lightened it with white and added the blue to make it less green. This is an easy and fun craft to do with the kids. Instead of using a hot glue gun you could try Jewel-It or something similar. Use enough glue to hold the buttons in place. Leave a message and Subscribe. I really like hearing from you. I love this idea! Beautiful! Thank you, Lady. It is so easy to do as well. 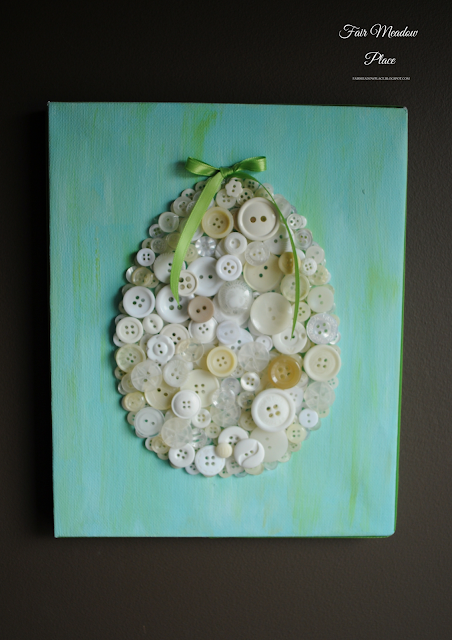 Your button egg turned out great! Thanks for sharing at Monday Social. Thank you, Eilis. The ladies at Monday Social are always kind and gracious. It is such a pleasure. Oooh! What a fun craft! I just got a whole button collection from my husband's grandmother's house and this looks like a fun way to use some of them. Pinned. This is fun and the egg is a great shape for kids to make. Some shapes are a bit hard to do. I think a wreath would be good and definitely a heart shape. Thanks for stopping by. 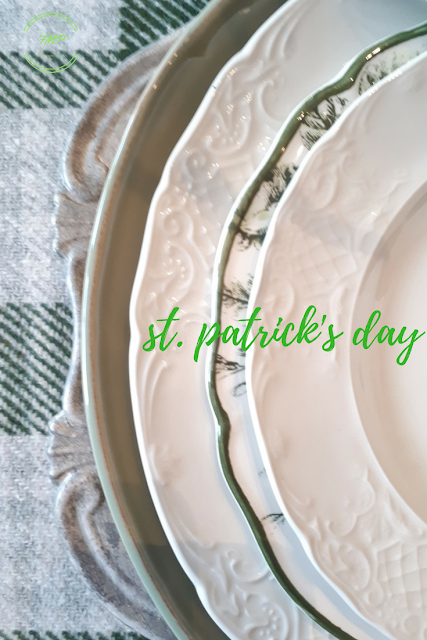 Stopping back by to let you know that your post was one of my featured favorite picks from the Welcome Spring Linky party. Thanks so much for sharing with us. 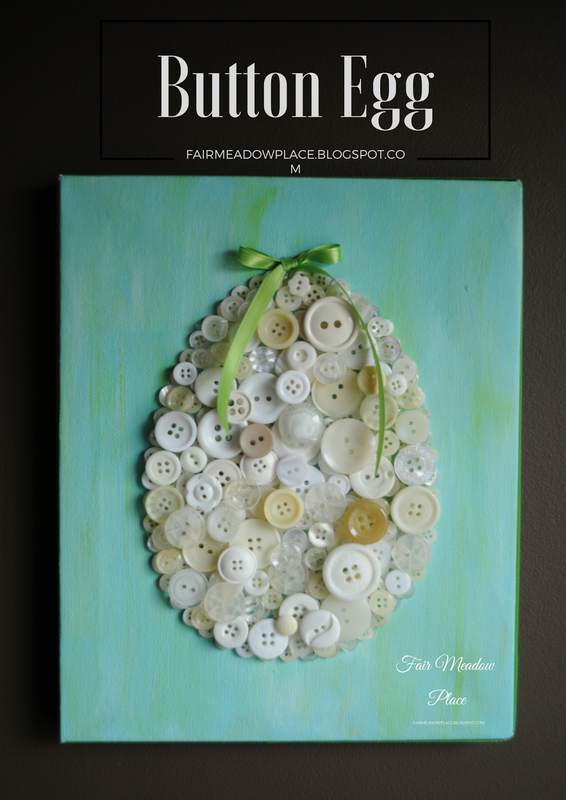 Great button craft! 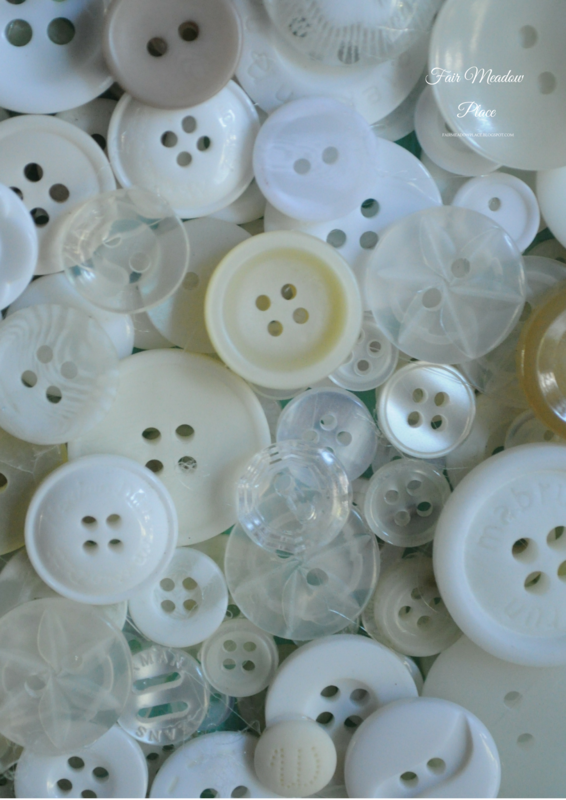 I have a large buttons stash, so I may have to give this a try! Although we love hearing from our readers, we are unable to open or respond to Annonymous Comments due to SPAM. Some of the posts on Fair Meadow Place contain Affiliate links. The complete disclosure is noted in the Affiliate Links section at the very bottom of the post. Every effort has been made to ensure the accuracy and effectiveness of the information displayed on this Blog. Fair Meadow Place makes no guarantee as to the procedures and information contained within. The publisher will not be held liable for direct, indirect, incidental, or consequential damages in connection with or arising from the use of the information displayed on Fair Meadow Place. This Blog is not intended to substitute the advice of a professional. ALL PHOTOS AND TEXT ON THIS BLOG ARE COPYRIGHT PROTECTED. YOU MAY SHARE ONE PHOTO FROM THIS BLOG IF LINKED BACK TO THE ORIGINAL POST AND FOR THE PURPOSE OF FEATURING MY WORK. PLEASE LET ME KNOW IF YOU WISH TO DO SO. Some of the posts on Fair Meadow Place contain affiliate links, which will be noted near the beginning of each post containing them. When you purchase a product through these links, I make a small commission at no cost to you. Regardless of whether or not I am making a commission, I will only recommend products and services that I genuinely like and/or use and that I believe my readers will also like. All opinions about these products and services are my own. Thank you so much for helping to support this blog! 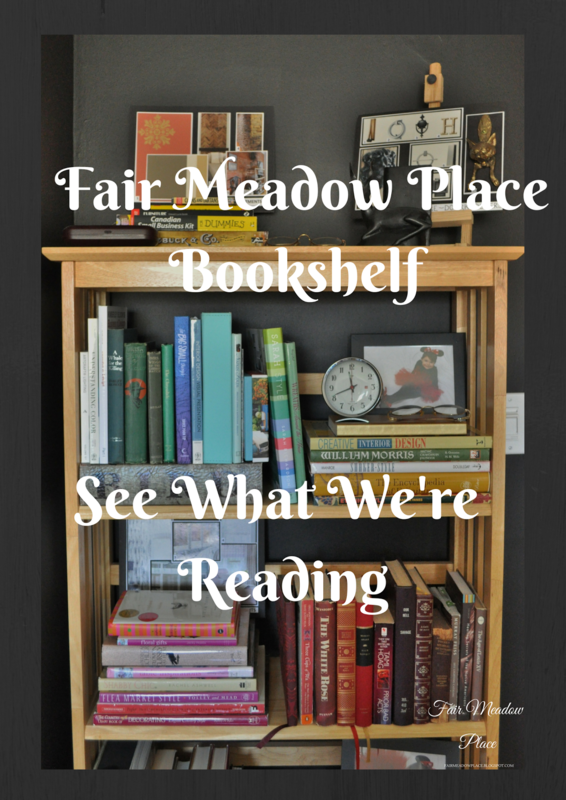 Fair Meadow Place . Powered by Blogger.